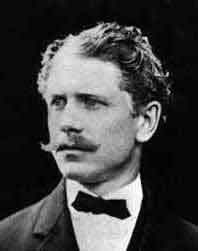 I’m very excited to learn more about Mr. Ambrose Bierce here this week with a series of five stories on the SSMT blog. He’s basically the literary god of the Civil War, of which I am an avid reader. This should be fun. Well, maybe that’s not the right word. This will be pleasingly bleak. How’s that? Let’s go. I think most people remember today’s story from high school English class. It’s most memorable for its blending of dream and reality. What I really liked, reading it again all these years later, was the backstory portions. The story is separated into three sections. The second section introduces the reader to the central character and explains how he got into this predicament in the first place. One, I like that Bierce makes no attempt at smooth transition into the backstory. He simply tags it off as a separate section. Two, I like that he waits until after introducing the peril the protagonist faces to explain who he is and what has led him to this fate. But thirdly and mostly, I love the blatant effects on the reader the backstory attempt to manipulate. Farquhar was a southern sympathizer. He didn’t go to war as a soldier. He was tricked by Union spies. He was brave enough to try to help but foolish enough to leave his family. This short little sketch of backstory is pulling us in so many contradictory directions. No matter how you feel about the Civil War, which side you thought was in the right, etc. etc. – you’re going to be torn about how to feel about Peyton Farquhar. What is clear from the story: hypocrisy, foolishness and profound human tragedy. Which, by the way, pretty much sums up the American Civil War. What a story. And that’s quite a trick on Bierce’s part. Peyton Farquhar was a well-to-do planter, of an old and highly respected Alabama family. Being a slave owner and like other slave owners a politician he was naturally an original secessionist and ardently devoted to the Southern cause. Circumstances of an imperious nature, which it is unnecessary to relate here, had prevented him from taking service with the gallant army that had fought the disastrous campaigns ending with the fall of Corinth, and he chafed under the inglorious restraint, longing for the release of his energies, the larger life of the soldier, the opportunity for distinction. That opportunity, he felt, would come, as it comes to all in war time. Meanwhile he did what he could. The reading group I formed at work (we only read stories/essays/etc. that can be read in an hour) is discussing this one next Tuesday. I’ve read it several times before and am looking forward to hearing what everyone thinks of it. Bierce rarely disappoints and I have two of his stories on my Deal Me IN challenge this year, as he has an Indiana connection from serving in an Indiana regiment during the Civil War. I find the circumstances surrounding his fate/disappearance fascinating too. I forgot he was from Indiana! How close to Cincinnati? I don’t think he was born in Indiana, just served in an Indiana unit. I debated whether or not that qualified for inclusion in my “IN” version of Deal me in. I think he was form OH originally but I don’t know where.